*All tents and accessories are rental items only. All photos are a guide and details may vary according to party requirements. Please check what is included in our Basic Packages. Tent Fabric Colours: Printed Fabric with blue, yellow, white and purple and plain fabric purple. 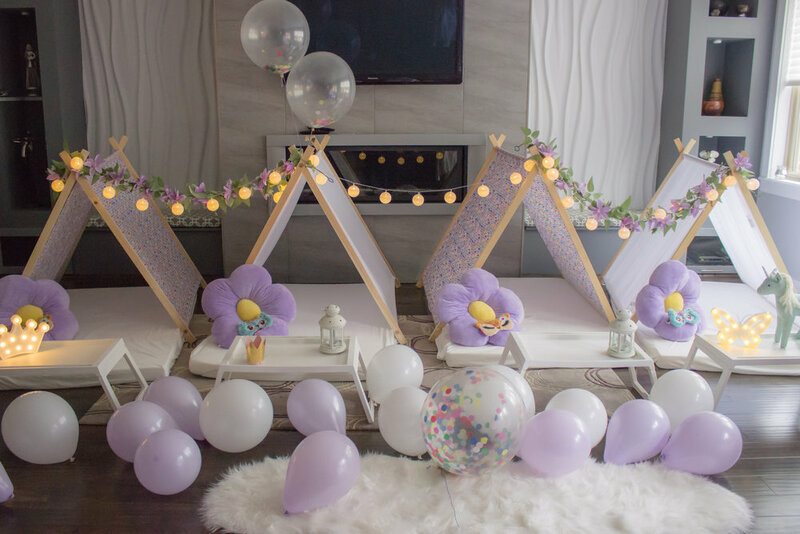 About this theme: Flowers, Unicorns, and twinkle lights this theme is perfect for girls of all ages who want to add a touch of magic to their slumber party pictures.